Welcome to step 6 of our 8 step series on how to reduce waste in the workplace. Last week we talked about recycling in the workplace. If you haven't already read that article, but would like to before you move on, click here. This week we'll be talking about sustainable purchasing. We've touched on sustainable purchasing in previous weeks, particularly in the recycling article, but this week we're hoping to dig in a little deeper on the topic. This article will be talking about what sustainable purchasing is, how to implement a sustainable purchasing policy, and will make suggestions as to which types of sustainable products you should be purchasing. To learn more about some of Panda Environmental's consulting services click here now! Sustainable purchasing is a fancy way of saying that you purchase environmentally friendly products or services which help to reduce the negative effects other products of the same purpose may have on both human health and the environment. These products and services can either have a reduced toxicity level, help to conserve natural resources such as materials or energy, or maximize the amount of recycled content used in the product and it's own recyclability. You may find that sustainable products tend to be more expensive, but there are benefit's to using them. Purchasing sustainable products is one way to show you're an environmentally friendly cooperation which may in turn bring more business your way. The point of implementing a purchasing policy in your workplace is to show that your company has a commitment to minimizing the environmental impact you have by committing to purchasing environmentally safe or recycled products. Implementing a sustainable purchasing policy in your workplace is fairly simple, but it takes commitment to sticking to your plan to make it work. You will want to implement a plan which ensures that your company always has a preference for previously recycled or recyclable products. Because these products are often more expensive to purchase, set a limit of increase in the budget so that you have a target across the board that you're willing to spend. For example, if you set your purchasing increase at 10% and you currently pay $10 for a workplace item, the maximum price you would allow yourself to pay for an environmentally alternative would be $11. Also, set a goal for what percentage of your current purchases you would like to contain recycled content or to consider environmentally friendly alternatives. Once you have goals set in place it's all a matter or organizing, researching and making final decisions on which products you'll be changing. For some tools to buying more sustainable products click here. What are some sustainable alternatives? 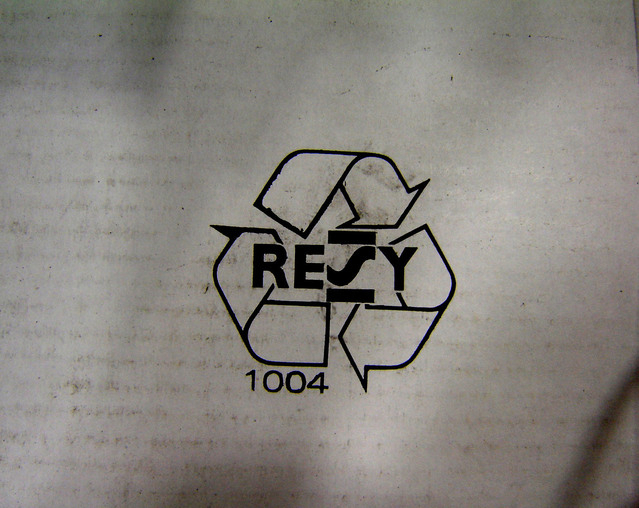 Recyclable Products: As mentioned above this product type is often the first that comes to mind. Look for products that not only are made of recyclable material but also those that can be recycled after you use them. Biodegradable Products: These are products that are capable of being broken down by the action of microorganisms. Reusable Products: Products such as rechargeable electronic items or refillable containers or cartridges. Low Toxic: These could be products with a low toxic content or those which use minimal toxic substances in their production. Resource Efficient: Products that use less energy or material. These could be anything from energy efficient electronics to products that maintain their quality while using a limited amount of materials. Durable Products: It's not often considered, but products which have a long life help to reduce environmental impact and help to limit waste. We hope you've enjoyed reading this article about sustainable purchasing, and maybe you've even learned some ways that you can help to reduce waste in your workplace. Be sure to come back next week to read step 7 of our "How To Reduce Waste" series. Panda Environmental provides professional waste removal and recycling solutions that are designed to be efficient and effective waste removal techniques that both add value to the client and help the environment. We offer many types of recycling and composting methods that are designed to keep waste out of landfills, and reduce the waste removal cost for our clients. Click here to view a full list of our services. Panda operates across Southern Ontario. Our exact service area depends on the type of waste removal. "We switched over to Panda Environmental Services after several years with another waste management service and are extremely pleased with our decision. The service has proven reliable in delivery of service, the drivers are careful and courteous, the sales and customer personnel keep in touch to ensure we are satisfied in every way! I highly recommend Panda Environmental Services to any business!" © Copyright 2019 Panda Envirovnmental Services Inc. All Rights Reserved. Web Design and Content Management by REM Web Solutions.